My video file is a mp4. I also added my HLS url under the main video space but still get this warning. Is there a way to change the players info streams playlist size etc. after I place it on the page? I cant find how all i can do is delete it on my page and add another to change what I need to change. 1. 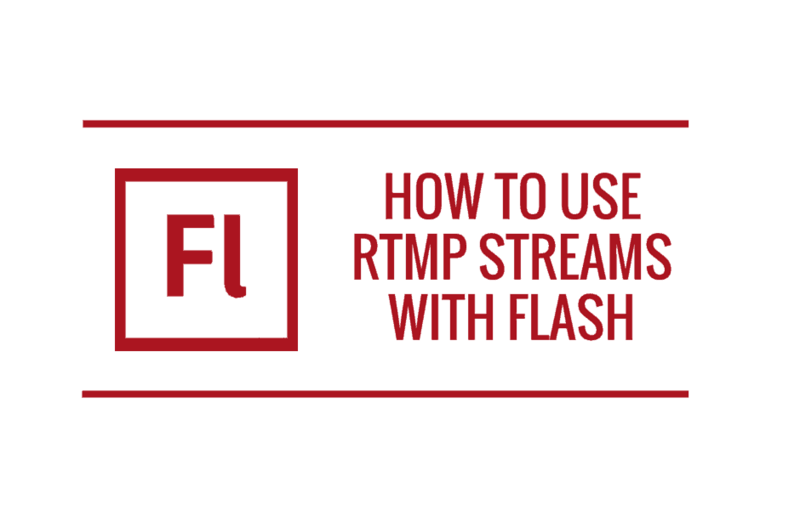 So you entered your RTMP video information into the “RTMP Server” and “RTMP Path” fields. Then you also enter the HLS video URL into the “Video” field. That’s great, but if there is a non-Apple device/browser with no Flash, it still won’t play (like Google Chrome with no Flash installed). That’s why the warnings still shows up for you and that’s why you should also add the MP4 file distributed via HTTP as “Add another format” video. 2. If you place your editor cursor into the [fvplayer…] shortcode and hit the red “FV WP Flowplayer” icon above the editor screen (described in first step here), it should really read the information into the dialog (step 6. in the above link). If it does not work for you that way, please let us know what other plugins are you using. Since you own our license, we can have a look at your site too. OK thanks Alec and Martin! So first I checked if the cursor over shortcode and clicking add player works.. yes thanks. So for adding the MP4 video on HTTP – wouldn’t this mean that that video would be hosted from my site? I am using a CDN other then Amazon S3 (www.scaleengine.com) and they only give me the RTMP/HLS/RTSP URLs… also an embed code for JW Player (used for testing or embedding (no license). I don’t want to upload my video to my site for a few reasons bandwidth and security. So am I just stuck with using those 3 RTMP/HLS/RTSP URLs? you can try to ask them if they are able to provide a HTTP link for the MP4 file. The thing is that having RTMP + HLS covers all but the edge cases – like desktop users of browsers other than Safari or Chrome who don’t have Flash installed. But Youtube also requires that they install Flash, so it should not be a problem. Where do I put the RTMP stream URL for playlists? When I click the +playlist it only opens up another video and image block. actually we will have to improve that in our plugin. The playlist items follow the naming scheme on the main video item (keeping the same URL and only changing the extension), but that won’t work with RTMP. Sorry about not realizing that earlier today. I also tested the RTMP and HLS setup through my android phone and it doesn’t play. In my CDN it says the RTMP is flash, the HLS is IOS/ROKU, and the RTSP is Legacy Android. When I add the RSTP to additional video field it still doesn’t work. Or should I put the RTSP in the mobile section? I also setup my grid gallery lightbox and tested it with youtube videos and it works, I tried adding the FVflowplayer short code but it didn’t work. 1) it’s perfectly fine to have a bunch of players on one page, one for each chapter. We need to figure out the playlist though. If you host doesn’t provide MP4, it means we need to make sure you can use RTMP in playlists and that requires some heavy-duty interface. 2) Also, are you going to have live video streams? If not, then your video host should be able to provide MP4s via HTTP. If you are worried about unauthorized downloading, you can always try Amazon S3 with secure file hosting which we support. 3) RTSP is not compatible with HTML5 players. You should be able to insert a normal link (a href) linking to the video and clicking that on Android should play it. We will put that into our plugin – if you try to play a video on Android and there is a RTSP stream available, it will play that. However that won’t work with playlists either, as it will be the Android OS internal application playing the video and not the browser. However I must say that while your RTMP stream played fine on our low end Android tablet (with latest OS), the RTSP doesn’t play. Perhaps it depends on the MP4 coded being used. 4) As a licensed user, we will contact you about the lightbox. 1) The playlists were improved, now you can enter all the formats for all the playlist items – including RTMP paths. 3) We will put in a RTSP fall back for the devices where it fits. 4) We are working on the lightbox. Hey Alec and Martin.. thanks you guys def have excellent support!! So as I said in our last email I have re encoded our video as one piece so there are no more chapters. *Mobile 320×180 HLS/RTSP* – different configs and doesnt work? or can I only do this? so I tried testing the playlist. My intent was to use the playlist for different quality versions – mobile video feature. The player worked with just the original video but when I added the playlist of one additional video it didn’t play and original video didn’t play. I tested the urls and everything is correct I think i also send a report from the player but for some reason the report was laid over top of my splash image and mostly disappeared over the black portions of my splash image.